German–American violin maker George (originally Georg) Gemünder worked for J.B. Vuillaume in Paris before moving to New York in 1847. He first established himself in Manhattan and worked there until 1874, when he moved to Astoria, Queens, which at the time was quite removed from the bustle of his previous neighborhood. Business ...Read More suffered as a result, and in 1886 Gemünder opened a second location in Manhattan managed by his son, George Jr. Whatever success that was recouped by this move was short-lived, as Gemünder suffered a stroke in 1889 and rapidly deteriorated, leaving the family bankrupt upon his death in 1899. 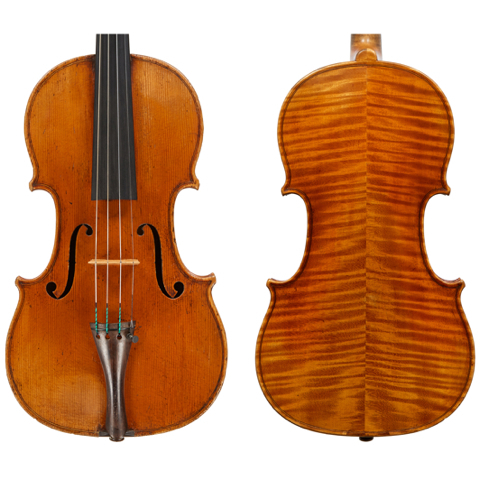 - The auction record for this maker is $37,375 in May 2004, for a violin.